Mixed reality encompasses both augmented and virtual reality experiences, which are becoming increasingly mainstream thanks to the entrance of Microsoft, Samsung, Apple and other major tech companies into this space. On October 17 the new Microsoft Windows Mixed Reality headsets will be available, in partnership with Acer, HP, Dell and Asus. Village Roadshow chief digital officer Jon Satterley said the company was keen to work with start-ups to discover breakthrough products, services and business models. "AR and mixed reality, in particular, is the next big wave and we at Village believe it has huge entertainment potential," he said.Last week Village also struck a deal with ASX-listed tech start-up Linius to provide it with anti-piracy technology, based on its patented video virtualisation engine, with IBM coordinating the design and integration. The launch of the new accelerator, which will run for 13 weeks starting in February 2018, comes as New Zealand hologram start-up Point Zero secured $100,000 in funding from Advance Queensland to expand to Australia. The company, whose product HoloSpace combines 3D visualisation with interactive technology without the need for a headset, will have a team of three in Brisbane, along with a holographic showroom. Collective Campus co-founder and chief operating officer Sean Qian said Australia was already seeing exciting advances in mixed reality technology, including from start-ups such as Plattar, which scored funding from News Corp this year, and Humense, which has been backed by Alibaba's investment arm. Mr Qian said by running an accelerator alongside a big business like Village, it helped solve problems from both the start-up and the corporate. "One of the biggest challenges for early stage start-ups is finding product-market fit on a limited runway. The challenge for corporates is that their businesses are built to deliver rather than discover, which is of course key to innovation," he said. "By combining these two worlds, we can match start-up agility with corporate resources, and radically increase the likelihood of developing the next breakthrough product." Unlike most accelerators, which provide a small investment in exchange for equity, the Xperience Accelerator is equity-free and does not provide any funding. 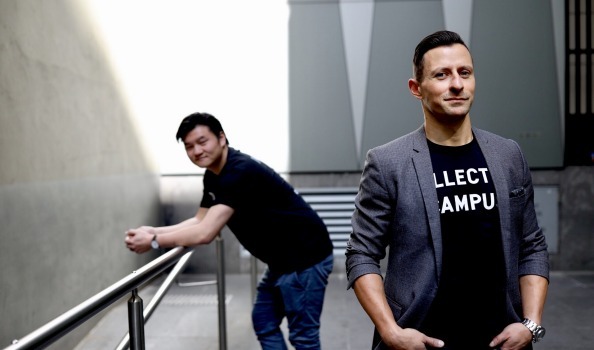 As well as the partnership with Village, Collective Campus has also run a legal tech accelerator in conjunction with law firm Mills Oakley and is readying to launch a property tech program. The innovation consultancy started out three years ago under the name Queens Collective and was a co-working space, which also operated Collins Collective. Since expanding into consulting work, it has worked with corporates such as King and Wood Mallesons, National Australia Bank and one of Singapore's largest banks. Start-ups that have been based out of the company's co-working spaces include bitcoin wallet CoinJar, LawAdvisor and online retailer Booktopia.